transit oriented development - Greenstreet Ltd.
A prominent Indianapolis developer is pursuing two projects totaling $32 million that would bring a grocery and 200 apartments to a neglected stretch near the highly traveled intersection of 38th and Meridian streets. Marion County voters will have another choice to make in November’s election—whether to approve an income-tax increase to pay for expanded mass-transit service. The measure to put the question on November’s ballot was approved 18-6 Monday night by the full City-County Council. The measure first passed the council’s Rules and Public Policy Committee on April 26. If the November referendum passes, Marion County could levy a income-tax increase of 0.25 on residents. That would be 25 cents for every $100 of income to pay for increased public transit. Democrat Zach Adamson said he has been “waiting five years” to cast a vote to put the referendum on the ballot. The tax increase would help fund the IndyGo Marion County Transit Plan, which includes extended service hours, shorter wait times, and the creation of three rapid-transit bus lines. One big part of the transit plan is the Red Line, a rapid-transit bus line that could eventually run from Westfield to Greenwood at a projected cost of $170 million to $200 million. In Marion County, the first 13-mile phase, which would run from 66th Street in Broad Ripple to the University of Indianapolis, is expected to cost $96 million to build and another $6 million annually to operate. Construction is expected to start in spring 2017, with routes open for service in fall 2018. The Marion County portion of the Red Line is expected to receive $75 million from a federal grant, which would cover most of its construction costs. The annual operating funds would be covered by the tax levy. If the referendum doesn’t pass in November, the first phase of the Red Line would still move forward. There also will be more “real-time” transit information available, such as the arrival times of buses. But “improvements to hours, service, connections, and wait times will be more difficult to make,” according to IndyGo’s website. Some opposition to the Red Line has surfaced in recent months, with a petition garnering about 430 signatures saying that the first phase’s construction will “slow traffic, hurt existing businesses and forever alter the character of historic neighborhoods such as Arden, Broad Ripple and Meridian-Kessler.” However, a petition in support of the line has 1,385 signatures. Not everybody at the meeting was in favor of the proposal. “Somebody’s got to speak for the voices of people who can’t afford a tax increase,” said Democrat Joe Simpson. But several council members said they have received “about half and half” of feedback for and against the proposal, so voters should decide. “I’m going to challenge those here and those watching to get involved and take a position and seek out those answers,” Oliver said. 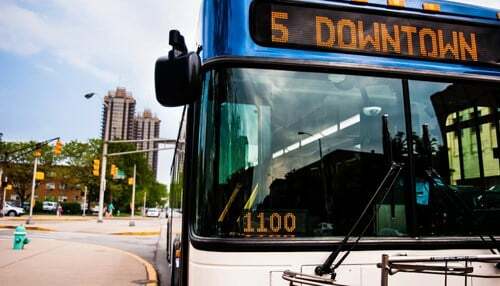 The City-County Council on Monday night agreed to give Marion County voters the chance to raise their income taxes to pay for a major investment in public transportation: a dramatic expansion of the city bus service, including a bus rapid transit system. 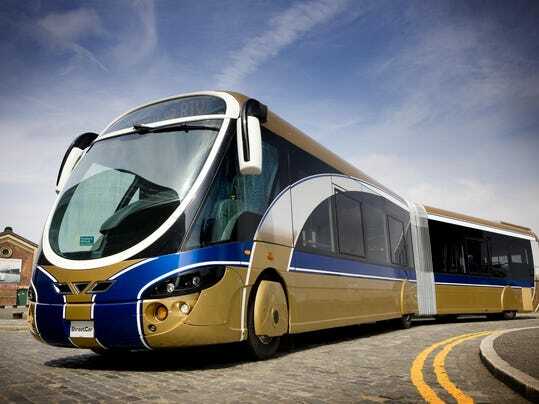 Bus Rapid Transit (BRT) offers communities many advantages, but systems across the nation have met with varied measures of success.